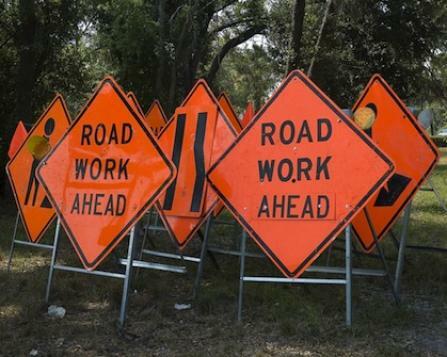 Curious to see how Idaho ranked on transportation infrastructure? Here is the full report that was released earlier this month by the American Society of Civil Engineers. The report grades the condition of Idaho's transportation infrastructure between the best being an "A" to the worst being an "F". I like it! 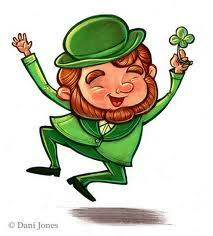 A Leprechaun Frolicing Las Vegas Streets to Test Yielding to Pedestrians! Well, I can't say that I've ever even seen a green leprechaun out in public, (except maybe on St. Paddy's Day), but some people will be seeing one very soon on street corners in Las Vegas. Police officers are using a person dressed up in a leprechaun costume, to test to see, whether drivers will yield to the mischievous leprechaun. Anyone that gets caught failing to yield to the green guy will need to be looking for the pot of gold under the nearest rainbow. Fines will run them $190 and up. I hope he/she is fast on their little leprechaun feet! Citylink bus service will end at 10 p.m., seven days a week. The “A” route, which currently runs out to Stateline, will be eliminated. The “B” route will be reconfigured to pick up many of the riders who used to rely on the “A” Route. Citylink will still serve Post Falls from Riverstone on Seltice and Mullan Avenue north and south of Interstate 90. Service will be expanded north of Mullan Avenue on Idaho Street to Poleline, then Poleline to Spokane Street to serve the residential area and to access the Post Falls Library. Two-way service will be provided between Post Falls, Coeur d’Alene and Hayden eliminating much of the current loop routing. More bus stops will be added along the routes, which will make transit access more convenient for riders. By providing more stops along the fixed routes, this may decrease the distance riders have to walk to their final destination and provide better access to service. With more stops, the ridership may also redistribute to the new bus stops, thereby making loading and unloading at each stop quicker and easier. Buses will no longer go directly into the NIC campus. Transit stops will be provided on Northwest Boulevard at Hubbard and Mullan Avenues. We have increased the frequency of the routes to provide hourly service as opposed to the current 85 minutes per trip. The Link Route will provide easy two way (both inbound and outbound from Riverstone) access to the Kootenai Medical Center campus. Citylink routes and stops will no longer use private property, which reduces potential liabilities, and travel time. With the reduction in transit service area, the boundary of the Paratransit service area will also be reduced to coincide with the changes in routing and hours of service. This change will impact some current users of the paratransit service. If you do not live within the new paratransit service area, but are eligible for paratransit service, you may still use the service if you are able to get to a connecting location within the paratransit service area. Please note that your ride outside of the paratransit service area will need to be your responsibility. There are no changes contemplated for the Kootenai Medical Center transit service. Citylink has not been a financially sustainable system for several years. These changes will allow us to bring the transit system in line with the funding available. And it creates a good building block for us to expand the system in the future as funding increases. We looked at ridership numbers to determine where Citylink is used the most and attempted to make changes in a way that affected the fewest riders. These proposed changes allow us to achieve the required cost savings while maintaining as much service as we can in the highest population centers. Adding approximately 125 more bus stops to the system. Adding more two way service on the routes. Decreasing wait time for riders by providing more frequent service. Again, it is important to remember that this will be a sustainable building block upon which we can grow the system as more funding becomes available. The changes are tentatively set to take place in mid to late April. Where can riders get more information about the changes? An electronic version of the proposed changes is available on the Kootenai Metropolitan Planning Organization website at www.kmpo.net. A public open house will be held March 21 from 4-6 p.m. at the Kootenai County Administration Building on the first floor in Meeting Room 1A (451 N. Government Way, CdA). How do people submit comments regarding the changes? 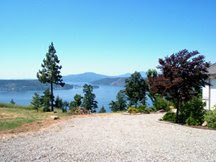 Kootenai County Board of Commissioners, 451 North Government Way, PO Box 9000, Coeur d’Alene, ID 83816-9000. Written public comments will be received until March 28, 2012. From February 2011-February 2012, an average of 48,200 people rode Citylink routes each month. Sixty-three percent (63%) of those riders rode the urban routes (A, B, and C routes in Post Falls, CdA and Hayden). Thirty-seven percent (37%) of riders rode the Link and Rural routes to Worley, Plummer, Tensed and DeSmet. In 2011, Citylink provided approximately 575,731 trips. Here is the public notice published in the Coeur d'Alene Press last week. Here is your chance to provide input on the proposed service reductions. Notice is hereby given that the Kootenai County Transit System operated as Citylink and Citylink Paratransit intends to seek comments from the public regarding proposed transit service reductions including a reduction in service hours and changes in routing which will impact the entire transit system including the paratransit service area. A public Open House will be held on March 21, 2012 from 4 – 6PM at the Kootenai County Administration Building, 451 N. Government Way in Meeting Room 1A (on the First Floor) to discuss the changes and receive public comments. Written public comments on service reductions may also be submitted to the Kootenai County Board of Commissioners, 451 Government Way, P.O. 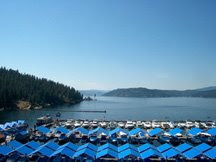 Box 9000, Coeur d’Alene, ID 83816-9000. Written public comments will be received until March 28, 2012. The proposed changes will be available for review at the Kootenai County Board of Commissioner’s Office, 451 Government Way, Coeur d’Alene during normal business hours. An electronic version of the proposed service reductions will be available on the Kootenai Metropolitan Planning Organization website: www.kmpo.net beginning March 8, 2012. For special accommodations/translation services, citizens can call (208)446-1616 at least 48 hours in advance of the Open House. Kootenai County assures nondiscrimination in accordance with Title VI of the Civil Rights Act of 1964, and Civil Rights Restoration Act of 1987 (P.L. 100.259), and the Americans with Disabilities Act. The transportation bill fell short by just eight votes yesterday in the Senate House. The Highway Trust Fund that provides funding for transportation programs is due to expire on March 31, 2012. The last long term transportation plan passed by Congress expired in 2009 and lawmakers have kept the programs going through a series of eight short-term expansions. The leaders in both the House and the Senate are continuing to negotiate on a list of acceptable agreements. The bill could be passed in five days after getting an agreement, but leaders must put the package together and it is reported that Senate Majority Leader Harry Reid, D-Nev., and Minority Leader Mitch McConnell, R-Ky., are responsible for coming up with the amendments. Hopefully, the lawmakers can come up with a solution to the bill that the majority can agree with. For special accommodation/translation services, call 1.208-930-4164, 48 hours in advance. and Civil Rights Restoration Act of1987 (P.O. 100.259) and the Americans with Disabilities Act.